A 5000-year-old mystery comes to life when a scruffy peddler gives Adam and Justin Sinclair an old Egyptian scarab on their very first day in Egypt. Only when the evil Dr. Faisal Khalid shows a particular interest in the cousins and their scarab, do the boys realise they are in terrible danger. Dr. Khalid wants the relic at all costs. Justin and Adam embark upon the adventure of a lifetime, taking them down the Nile and across the harsh desert in their sear ch for the legendary tomb of the Scarab King, an ancient Egyptian ruler. They are plunged into a whirlpool of hazardous and mysterious events when Dr. Khalid kidnaps them. They survive terrifying dangers in a hostile environment (such as a giant cobra, as well as sinking sand), pursued by enemies in their quest to solve the secret of the sacred scarab. They must translate the hieroglyphic clues on the underside of the scarab, as well as rescue the missing archaeologist James Kinnaird, and their friend, the Egyptologist Ebrahim Faza, before time runs out. They must also learn more about the ancient Seven Stones of Power and the mysterious Shemsu-Hor. With just their wits, courage, and each other, the boys manage to survive … only to find that the end of one journey is the beginning of another! Q: Welcome to The Writer's Life, Fiona. Can you tell us how long you’ve been writing and how your journey led to writing your latest book, The Secret of the Sacred Scarab? I began my career in the theater as a performer, but found myself drawn into writing because I dealt with newspapers and other media outlets in order to publicize the productions I was working on. One day I found myself working as a journalist and an editor; some time later I wrote my first children’s book. Q: Can you tell us more about your title and where you chose it? The title just popped into my head when I began writing what was supposed to be a short story to entertain my two young nephews. We had recently returned from an exciting trip to Egypt and my mind was utterly inspired by what we had seen and experienced. Q: Why did you believe your book should be published? I was just keen on writing it to begin with, simply to say I had written a book. Later on, a friend who said, “It’s a great story,” steered me towards actually publishing it. My publisher embarked upon a 3-month publicity drive which is standard in the industry. After that, it’s up to the author. I think I have done absolutely everything possible to get my book out there. Living in South Africa with a book published in the USA has some physical drawbacks as far as book readings etc. go, but this is the age of the internet and there are many options open. I blog, write articles, Tweet, have a Facebook Page for the book, and a great author and book website. 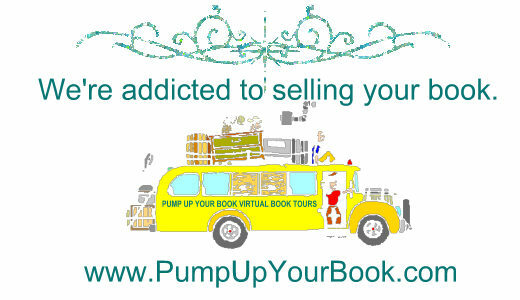 I also love virtual tours, or blog tours, which have really given my book great exposure as well as many reviews. I have entered and either won or been nominated in many book contests and I have signed a movie option with a British film company to turn the book into a movie. I have completed the second book in my series but I still drive publicity for my first book. Q: What book on the market can it compare to? How is it different? What makes your book special? Imagine that you are aged 12, and you go to Egypt, and on your very first day a peddler gives you an old scarab. The next minute your world is transformed because all kinds of amazing things start happening and some of them are downright dangerous! Not possible you might say. Well, in my book, it is completely possible and that’s what sets my book apart and makes it special. There is a wonderful mythology attached to this multi-layered plot, as well as history, geography and action all rolled into one package. The book is set in a real world with amazing mystical elements that fit seamlessly into reality. Literary agent Mary Kole (Andrea Brown Lit Agency) describes this genre as ‘magical realism’: a story set firmly in our world, only with a twist—magic, danger or something that turns ‘reality’ on its ear—to make things more interesting. Cousins Justin and Adam Sinclair are admiring the Great Sphinx, with their aunt and their grandmother. Everyone, except Adam, decides to go round to look at the other side of the monument but Adam stays where he is for a bit longer. He leans against the safety railing and then decides to duck under it to see into the chasm where the Sphinx lies. Someone pushes him over the edge, but before he plunges to his death, another hand grabs him and yanks him back to safety. The quest to discover the secret of the sacred scarab has begun, but so have the machinations of the evil Dr. Faisal Khalid, who will stop at nothing to get the scarab. The book leads the young heroes into the next adventure in the Chronicles of the Stone series with a quest to different countries, exploring the culture and mythology of each new terrain. I have completed Book Two: The Search for the Stone of Excalibur and am about to embark upon Book Three: The Temple of the Crystal Timekeeper. Q: Thank you for your interview, Fiona. Do you have any final words? Thanks so much for hosting me on your great site!